2008 Crownline 230 CCR Room to get out of the sun, store your toys. 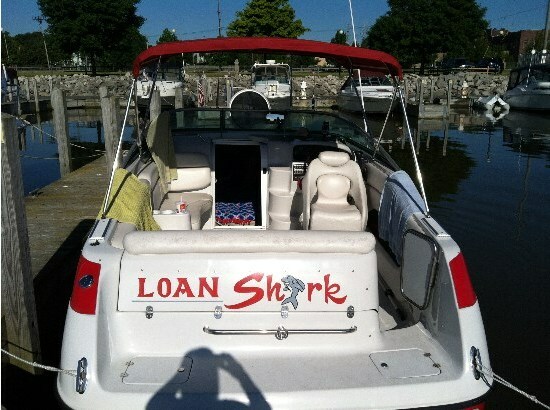 Great family boat! Be the first to see it. 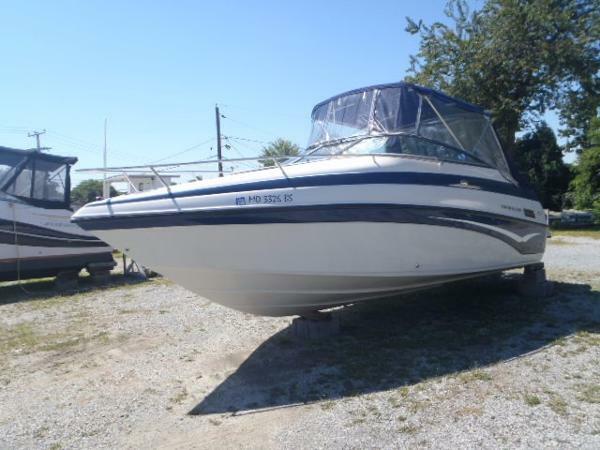 2003 Crownline 230 CCR This is a one owner, fresh water boat with only 214 hours. Very comfortable cabin with plenty of power to pull a skier. We have completed a comprehensive inspection and she is ready for a sea trial. Bravo three out and stainless props. The package includes an aluminum tandem axle trailer. 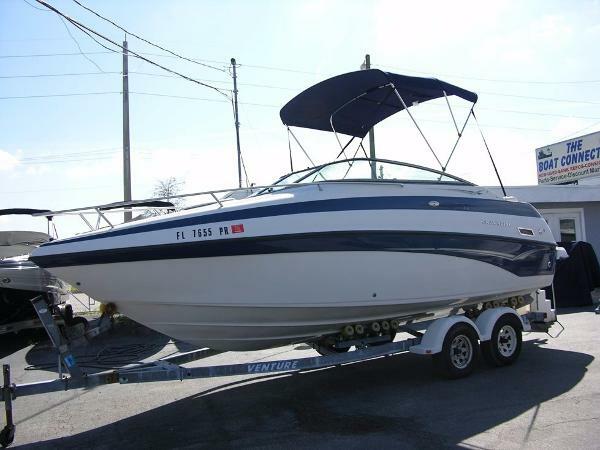 2003 Crownline 230 CCR This is a large 23' Crownline Cuddy/Cruiser combo, the boat is a must see, very clean and running great. The cabin is very clean with sink, head and sleeping area which converts to dinette. 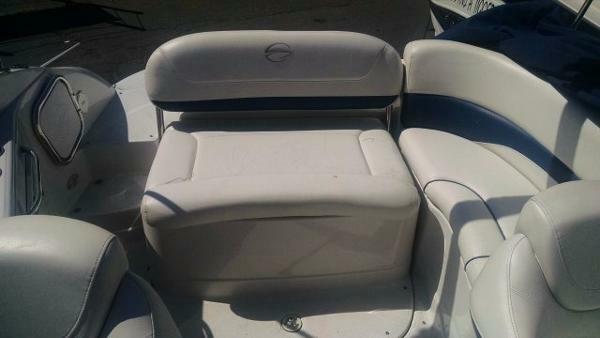 The boat comes with a Garmin GPS, bimini top, tandem trailer, cockpit cover and more. 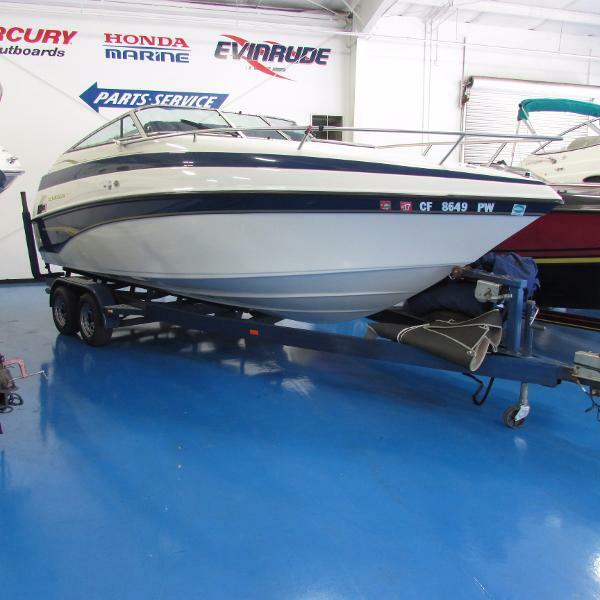 Call or stop by today to check out this great boat!! The Crownline 230 CCR features lots of cockpit room, lots of cabin room and loads of standard features. The cabin area includes V-berth / seating, cushions, courtesy lights with adjustable lighting, a galley with sink, and a privacy head. There's also a fresh water holding tank and easily accessed cooler, as well as lots of storage room and an extended swim platform. For additional equipment, there's an optional convenience package available. 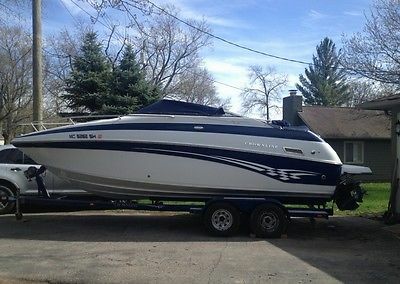 2008 Crownline Cuddy 230 CCR, 2008 CROWNLINE 230 CCR Cuddy, 350mag bravo 3 mercruier 300hp, porta potti, bimini, cockpit cover, full enclosure, loadrite tandem axle trailer. Fresh water 1 owner. 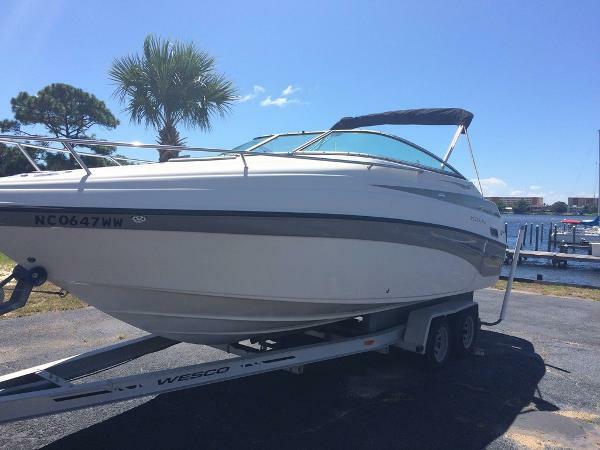 2001 Crownline 230 CCR OWNER APPRECIATED!!! VERY CLEAN !!! PRICED TO SELL !!!! 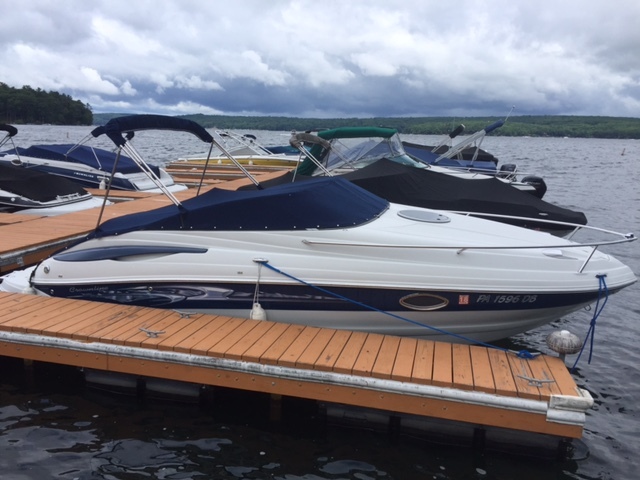 Crown-line is a quality watercraft manufacturer who builds well engineered pleasure boats.She looks like new with only 276 hours on the motor, Always professionally maintained. Meticulous owner has kept this crown-line immaculate inside and out. Pristine both mechanically and cosmetically. Boat and trailer have never seen salt water. Powered by a VOLVO PENTA MOTOR 5.7 gsi, Duo prop out-drive, Custom winter cover, Cockpit canvas, Windshield canvas , Bimini top, Bar sink with outflow faucet. Porta -potti Clarion marine cd player with cockpit speakers. Uni-den VHF radio. Anchor with chain in anchor locker on bow. Custom extended swim platform. Salon Converts to comfortable v-berth for two sleeping or dinette for two.